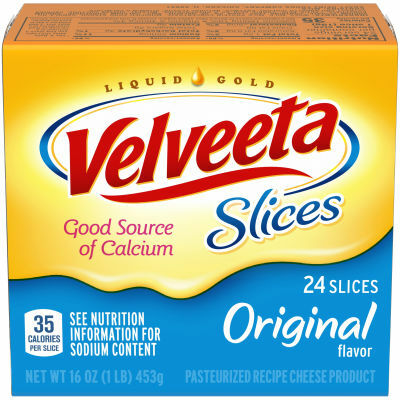 Velveeta Original Cheese Slices, 16 oz (24 slices) Velveeta Original Cheese Slices is the comfort food you've been craving. These cheese slices are sure to enhance your next burger, grilled cheese, or sandwich. Pick up our 24-count pack today to enjoy the great taste of Velveeta Original Cheese Slices.